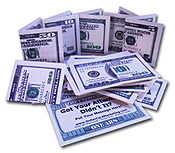 Dollar bill business cards are the most effective offline marketing tool you'll ever use. Also known as drop cards, we customize your business card in all denominations from the $1 all the way through the $100 dollar bill.. 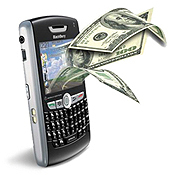 If your website is important to you, then you need a mobile website. If you have to touch your screen to zoom in and navigate your website on your mobile device, then it's not optimized for the mobile web. Facebook's standard fan pages are just that.. "standard." We can customize a robust Facebook website for your business that will give your customers the same experience of your primary website, along with the functionality and benefits of Facebook. 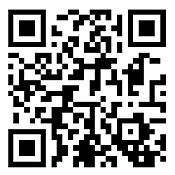 If you've never seen a QR Code before, stand by... In fact, you've probably seen QR Codes and didn't even know what an incredible impact they can have on your business. Pardon the dust while we renovate our site. Fortunately, we’ve been so busy working on other people’s sites and projects, we put our own on the back burner. I can help you with your Facebook Business Page (fanpage), Mobile Site (websites specifically optimized for cell phones and mobile devices), and business cards.